What’s the first thing you think of when you hear about obsessive-compulsive disorder (OCD)? Maybe you think of the TV show “Monk,” of someone who washes their hands over and over, of someone who loves a schedule and hates germs. Did you realize that as many as 1 out of every 200 kids or teens has OCD? For most of us, it’s easy to keep ourselves from performing an action over and over. Sure, I might really want that third piece of cake, but I stop myself. There is no voice in my head egging me on and telling me I simply must have it or that I might die if I don’t get it … or that something bad could happen to my family or myself if I don’t eat it. So when my 7-year-old son could not stop himself from going up and down our stairs in a specific pattern one day, I was worried. He was crying while he was on the stairs, but said he couldn’t stop. He had done quirky things in the past like walking in a pattern or stepping over cracks, but these things had never made him upset. As his symptoms got worse, I went into Mama Bear mode. I got on the phone and Internet to navigate the world of insurance, therapy visits, typical treatment length and costs. A therapist came to our house for the first visit, and I bought the book “Talking Back to OCD” by John S. March so I could be doing something in between weekly therapy appointments and know what was ahead. Kids and teens with obsessive compulsive disorder feel compelled to perform an action (e.g., washing their hands dozens of times or tapping out a pattern on the table hundreds of times) because they think something bad might happen; they become obsessed with performing the action to obey what their brain is telling them to do. Their brain is essentially telling them that they will feel better if they perform the specific action. In reality, following through with the impulse to act sets the brain so that the desire to act becomes even more frequent. What works well for many kids facing obsessive-compulsive disorder is Exposure Response Prevention (ERP) treatment. In essence, it’s like having to face one’s fears. If a child’s compulsion is being afraid to go up stairs because he always has to perform the same debilitating rituals, then he doesn’t avoid the stairs (exposure). Instead, he faces the stairs head-on and might keep a chart of how many times he performs the ritual on the stairs and how many times he is able to stop (response prevention) so he can see his progress. If you suspect your child or teen has OCD, you are certainly not alone. Make an appointment with a reputable therapist, and see what she has to say. OCD can definitely be treated. 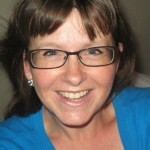 Kerrie McLoughlin, mom of 5 great kids, can be chased down at TheKerrieShow.com. I was diagnosed with OCD as a teen, and now I can see some signs of OCD in my 4th child. Even at 1 year old, he had an obsession with making sure doors, drawers, and cabinets were always shut. He would walk behind his older brothers and sisters and shut the doors behind them! He would always try to shut the dishwasher when I was unloading the dishes. He doesn’t like to touch his food and get his hands sticky. If he gets food on his shirt, he cries. At 18 months he would sweep up his own messes without being asked or get a rag and clean up a spill on his own. If you try to stop him from performing one of these tasks, he seems stressed. He will stare at the cabinet doors until he knows they are shut, or he will watch to make sure all the messes are cleaned up, etc. I haven’t even asked the dr because I know no one would diagnose a toddler with OCD but I have no doubt in mind that is exactly what it is. I am not sure why a child would need weekly therapy for OCD unless their behavior is harmful to themselves or others in some way, though. We only were going to go weekly because he was in really bad shape. I wanted him to go more often until we got it figured out, then I bought Talking Back to OCD to try to get the ball moving since I could tell from the table of contents that she was following the book!!!!! It started helping fast. Sometimes the behavior isn’t harmful to others or self, but when you are new to it you just want to learn how to get a handle on it. I couldn’t stand to see him crying over wanting/not wanting to touch a glass of water … it was torture. We’re in this very battle with my 7 yr old son. I started a blog to journal our days and trying to gather as much info as I can. 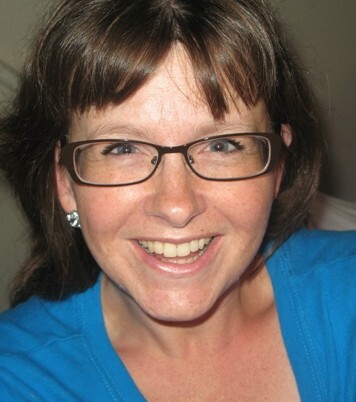 I am a mom to a 10yr old daughter, 7 yr old son (Jace) and 3 yr old quadruplets….and feeling desperate! I just started blogging – so I’m a week into it- but I can’t wait to get the help we need. Thank you for sharing this- I just found it. I’m in contact with a few moms who have been so helpful- but I know we have a tough road ahead. Right now, he won’t eat because he’s afraid of getting sick (that’s his fear) and stopped eating solid foods because he’s now afraid he’ll choke or gag. He does other stuff too, but I can only get him to have some yogurt or carnation instant breakfast drinks- it’s on the blog!